سر جلسه به موقع حاضر شویم و جلسه را سر وقت آغاز کنیم و سر وقت پایان دهیم. تلفن‏های همراه خود را در حالت سکوت قرار دهیم و در صورت وجود تماس ضروری، آن را بیرون از اتاق جلسه پاسخ دهیم. 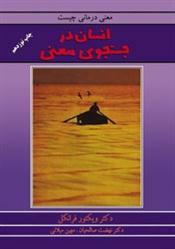 در مورد موضوع جلسه از پیش مطالعه لازم را انجام دهیم. با رفتار مثبت و چهره بشاش در جلسه حضور به هم رسانیم. به موضوع بپردازیم، دستور جلسه را دنبال کنیم و از صحبت‏های حاشیه‏ای دوری کنیم. هربار یک نفر صحبت کند ، برای صحبت کردن نوبت را رعایت کنیم و با مدیر جلسه هماهنگ باشیم. برای درک بهتر گوش فرا دهیم و حرف کسی را قطع نکنیم تا از ایجاد تناقض پیش‏گیری کنیم. اجازه دهیم که توفان فکری ایجاد گردد و بدون ترس و بدون تلافی کردن سخن بگوییم. توجه داشته باشیم که نظرات متفاوتی وجود دارد و به نقطه نظرات دیگران احترام بگزاریم. 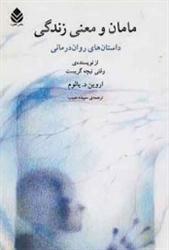 در صورتی که مطلبی را متوجه نشدیم سوال کنیم. نکات مورد نظر را برای خود یادداشت کنیم. با شرکت کنندگان در جلسه با احترام صحبت کنیم و به موضوع حمله کنیم نه به افراد. در مورد نظرات ارایه شده با رعایت خونسردی و صبوری مذاکره کنیم. به یک تصمیم نهایی دست پیدا کنیم هرچند که تمام خواسته‏های ما را دربرنگرفته باشد اما بیشتر نیازهای ما را پوشش دهد. در انتهای جلسه ، مطالب باقی‏مانده برای جلسات بعد را مرور کنیم. در پایان جلسه ، مطالب را جمع‏بندی کرده و با مدیر جلسه چک کنیم. Economist and political philosopher Thomas Sowell once said that people who enjoy meetings should not be put in charge of anything. Most of us who have spent our careers in organizations both large and small would probably agree. 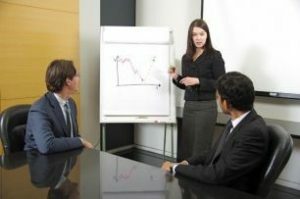 Meetings are an important component of organizational life and are necessary for the coordination of activities, sharing of information, and making decisions. But meetings can also be a colossal waste of time. Agreeing to meeting norms or “ground rules” in advance can help to make meetings more productive, shorter, and less frustrating. Here are ten ground rules that have worked for me in the past and may work for you as well. Begin and end on time.Nothing is more frustrating than attending a meeting that begins 10, 15 or even 20 minutes late either because someone wants to use the time to socialize or discuss something irrelevant or because key players arrive late. Start the meeting at the appointed time regardless of who is present. Latecomers will get the message. Stop at the appointed time. Time boxing meetings is a great way to keep people on task. Stay on subject and follow the agenda.First, have an agenda and be clear about the meeting’s purpose. Then stick to it. If you are running the meeting you may have to play the role of sergeant-at-arms to keep people on track. Focus on driving towards the meeting’s stated purpose. One person speaks at a time. I once worked for a company that had respect as one of our core values. One of the rules for meetings was that only one person could speak at a time. Interrupting or talking over others was considered a sign of disrespect and was seriously frowned upon. Listen to understand, not to contradict. 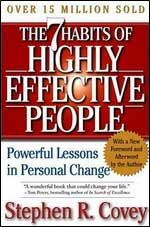 One of the late Steven Covey’s Seven Habits was “Seek first to understand, then to be understood.” Too often, especially in highly competitive cultures, contradiction and arguing can be viewed as signs of leadership. They are not. Respect the views of others. You can respect another person’s point of view without agreeing with them. Cable news and talk radio too often promote the idea that anyone who disagrees with you is your enemy. Nothing could be further from the truth. Negative and rude reactions to alternative points of view is more a reflection of your own insecurity and ignorance than the ignorance of the other person. Check your understanding by asking questions. Encourage people to ask clarifying questions rather than making assumptions about things they don’t understand. If you are leading the meeting, model this behavior for others. Questions should be clear, to the point and asked respectfully. Constructive, honest debate is desirable. The objective of most meetings is not quick and unanimous agreement but getting something accomplished, a decision made or a problem solved. This may require having a frank, open and honest debate. Groups that shy away from tough discussions are almost always ineffective, regardless of the task at hand. Silence is agreement. In the traditional wedding ceremonies of years ago the ceremony ended with the person performing the wedding asking if anyone knew why this couple should not be joined in marriage followed by the command, “Speak now or forever hold your peace.” This should be a ground rule for all meetings. If you have an objection, speak up. Otherwise, forever hold your peace. Attack problems, not people. Stay focused on and debate issues, problems and solutions, not people. Bringing an individual into the conversation personalizes the discussion, puts people on the defensive, and guarantees that a lot of time and energy will be wasted, not to mention hurt feelings. Finally, to quote Sir Mick of Stone: “You can’t always get what you want, but if you try sometimes you just might find you get what you need.” Meetings may still take a lot of your time and you may still find some of them to be frustrating, but by applying some simple ground rules you may find that in the end you get what you need.